Smoked Chocolate, served in our signature Terremoto wine box, with seasonal sorbet, foam & cacao glass. Discover the beauty of McLaren Vale at Serafino, a winery, restaurant and accommodation venue nestled among 200-year-old gum trees, wide lakes and rolling hillsides. 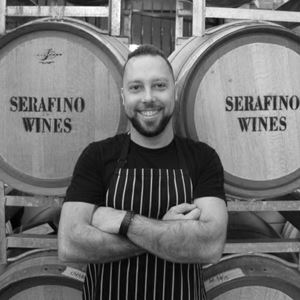 The largest venue space in McLaren Vale, Serafino makes an ideal location for weddings and functions, as well as intimate occasions, with onsite winery and cellar door adding to the experience. With a carefully crafted menu of Modern Italian-Australian fare, Chef Daniel Armon highlights his skill in dynamic dishes, using premium seasonal produce. Begin with smoked leeks, asparagus, confit yolk, zucchini, goats curd and pine nuts, or Berkshire pork, calamari, apple, white bean, fennel and golden raisins; before mains like Serafino steak, duck fat potatoes, Sharktooth Shiraz jus, burnt eschallot butter and horseradish gremolata. Discover the beauty of McLaren Vale at Serafino, a winery, restaurant and accommodation venue nestled among 200-year-old gum trees, wide lakes and rolling hillsides. 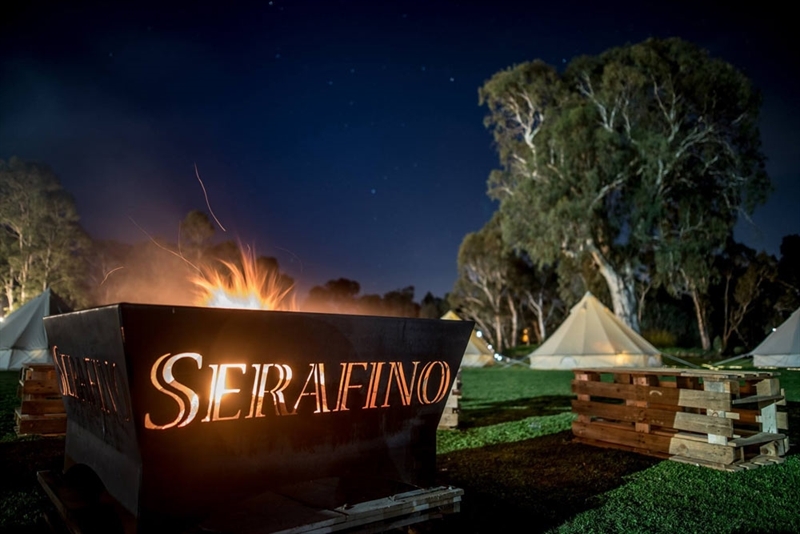 The largest venue space in McLaren Vale, Serafino makes an ideal location for weddings and functions, as well as intimate occasions, with onsite winery and cellar door adding to the experience. With a carefully crafted menu of Modern Italian-Australian fare, Chef Daniel Armon highlights his skill in dynamic dishes, using premium seasonal produce from our kitchen garden. Begin with Quail egg ravioli with ricotta & preserved lemon, guanciale and truffle burnt butter. Followed by Lenswood pasture raised duck breast with pumpkin, vanilla, szchezuan & davidson plum. 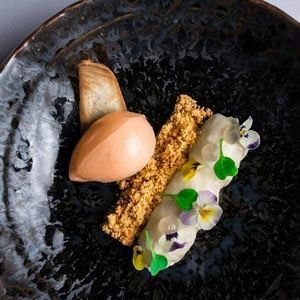 Then allow yourself to be spoilt by our signature smoked chocolate with blueberry sorbet, sour cherry foam & cacao glass. 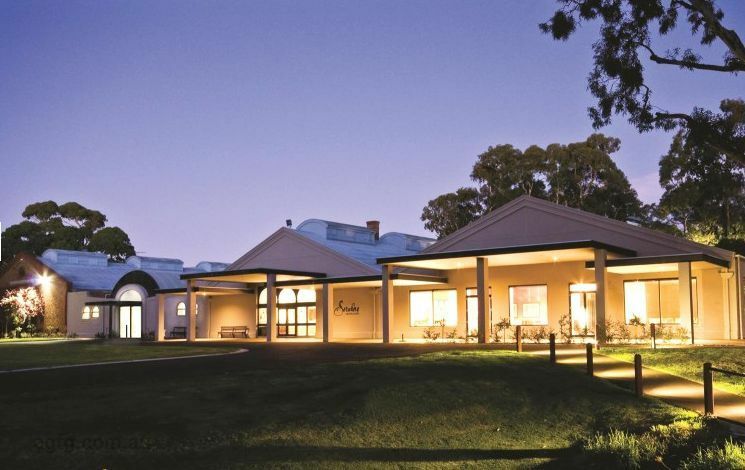 Serafino McLaren Vale offers many features & benefits making us the ideal venue to host your event. Serafino offers delegates & guests a memorable experience for any business or organization & we look forward to the opportunity in welcoming you & your delegates to our resort for your event. We first came to Serafino for their September 2018 menu. Since then we've come back for their Summer 2019 and now Autumn 2019 menus. What we can now say is that their consistency is amazing. No one shot wonders here. Each menu has developed and grown and improved which is hard to do. Their creativity seems to have no end and their attention to detail is to be applauded. Great balance on every dish (and we've had 7 course tasting menus each time) is excellent. They balance not only for seasoning but also for texture and freshness. If you have something rich, their is something fresh to balance. We've never left feeling like we've eaten too much or that it's been to rich. Very impressed and we hope they will continue in this style as it's a real treat finding somewhere this creative consistently. Well done. We attended on a Friday for the spring menu 2018 and had the 7 course degustation. Every single dish was perfectly balanced with seasoning. There was texture, there were complex techniques balanced with fresh produce that had been treated with respect. This is how you do a degustation! A truly fabulous lunch at Serafino Winery's restaurant. The chef has crafted an innovative, delicious menu and there wasn't a single item on there that we wouldn't have liked to try. In the end, the cod and the beef mains were absolutely superb choices, while the entrees and desserts also tasted wonderful. Naturally, the wine list consisted of some of Serafino's finest and, coupled with the immensely friendly service from the cheerful and knowledgeable waiting staff, we were thoroughly pleased with this meal. In our opinion, the food was easily at the same standard as a One Michelin Starred restaurant in London and deserves some Chef Hats. This is now called Serafino's. A venue to go for special occasions. We have eaten here twice and have received excellent meals and service on both occasions. The menu has a dish that suits everyone from steak, pasta to vegetarian.